We have now covered two different pizza styles. Both the Chicago Deep Dish and the Detroit Style Pizza have turned out to be delicious and fun topics to cover. These are only two of many styles of pizza and I thought it would be fun and informative to make a big list of ALL pizza styles. It certainly sounds like a good bucket list item to try all of these styles and maybe even make all of them! There may even be pizza styles that are not listed here and please leave a comment below if you know of one. I may add it to the list. A simple pizza and the godfather of the pizza world. The EU identifies this pizza as having a very specific set of ingredients and processes to fall within the tradition of being a genuine Neopolitan. The ingredients are dough, San Marzano tomatoes, traditional fresh mozzarella cheese, basil, and extra virgin olive oil. This pizza is cooked at high temps (reaching up to 1000 degrees) and often takes just a minute to cook. Originates in Naples, Italy and the dough really is the star of this style. A direct descendant of the Neapolitan, but quite different. The other super star of the pizza world. The dough is the biggest difference. While both pizzas are thin, the NY style is quite a bit more sturdy and easily folded up. Often served by the slice, while a Neapolitan is served whole. The NY style pizza is a favorite when on the move. Here is a list of differences. Ahh, the muse of our current topic! So, a Chicago Style pizza has three really defining characteristics. First, It looks more like a pie than a pizza, as it is a very thick pizza (although not necessarily a thick dough) and can have many ingredients. I have been cooking my Chicago styles in my 14-inch cast iron pan, but spring release pie tins is a perfectly reasonable option for Chicago Style. 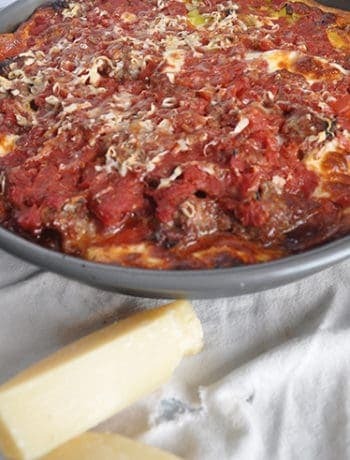 The second main item that identifies a Chicago Style is that the tomato sauce is added last. Because this is such a big pizza, if the cheese were on top it would burn. So, cheese is added at the bottom and then the toppings are added. Then, the sauce and maybe some parmesan cheese to finish it off. Finally, there often is corn meal or semolina that is often added to the dough. Apparently, the locals order this more than the deep dish, leaving the Chicago style deep dish to the tourists. I am not a pizza hater, I will eat any pizza. Chicago thin crust has a bit of a crunch. Here is a link to a good explanation of this style as well as recipes. I like how he explains the dilemma of the pizza peel. I have definitely had some pizza disasters due to sticking dough. If the Neapolitan is The Godfather of the pizza, the Neo-Neapolitan is the drunk uncle (druncle). Really, the primary difference between a Neapolitan and an Neo-Neapolitan is the dough. Neapolitan calls of “00” Italian flour, which refers to the fineness that it is milled at. A dough can make an entirely different pizza. Additionally, the Neapolitan is a pretty strict definition of a pizza. It seems as though the Neo-Neapoltion does not really fall into the need to be exactly on point to be within the style. I mean, most of us don’t have water buffalo mozzarella laying around. Here is a great recipe from a great pizza maker and here is a discussion on the dough. I debated really even including this as a style, as it comes dangerously close to being what I would consider stunt pizza. Yeah, it is pizza and, by definition, it is good. I feel like this was probably a big box marketing invention rather than a style. What is it? Well, it is pizza with cheese in the crust. The California style pizza really seems to be a matter of toppings. It takes traditional New York or Neapolitan style crusts and adorns them with California toppings. This style was innovated with the California cuisine movement and popularized by California Pizza Company and Wolfgang Puck throughout the 80s. So, whenever you see a sprout arugula avocado pie advertised, there is a good chance it is a California pie. Whelp, Ohio has it’s own pizza style. 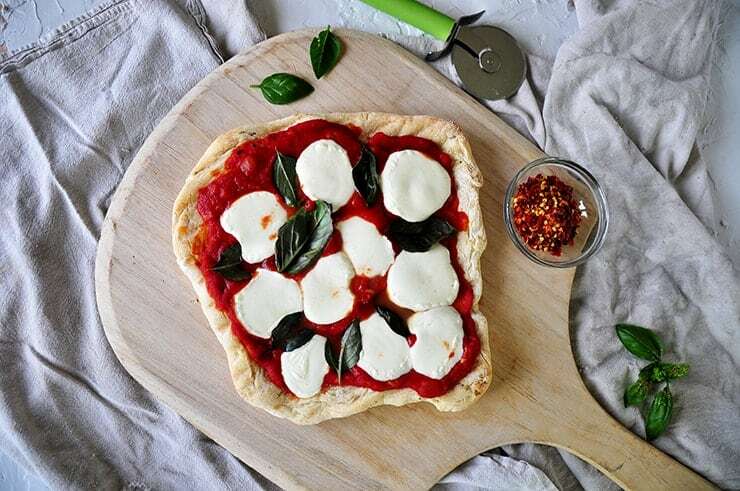 The characteristics of this are that it is cooked in a rectangle shape, the cheese isn’t completely cooked, and any toppings (outside of sauce and cheese) are added after the pie is baked. Huh. You learn something new every day. Well, duh… it is grilled. One thing that is interesting about making this pizza is that the dough is partially grilled before any sauce, cheese, or toppings are placed in the pie. Last Summer we had a chance to make this style pizza, but seeing that it is ridiculously cold out right now here on ol’ Fargo, North Dakota, it is just gonna have to wait. Well, we Americans like to deep fat fry everything, right? That is what separates the Montanara from other pizza styles. The crust is deep fried before it is baked. I debated whether to add Vesuvio style pizza to the list as well, because it feels a little like stunt pizza. I could not find a whole lot of information on this topic, but there were some out there. There are two defining characteristics of this style of pizza. First, the pizza is partially folded. So, it is sort of half calzone and half pizza. Of the ones I saw, if you looked at half the pizza, it looked like a traditional pie. Only on the other half was there just a little bit folded over. Also, the cheese in this style, as far as I could find, is ricotta instead of mozarella. So… this is pizza that does not have sauce OR cheese. Sorta bread? Along the same lines as Pizza Bianca, but with pork baked right into the crust. Grandma pizza is a lightly cheesed basic style of pizza. The crust is rectangular and baked in a way where the crust is crisp on the bottom and sides. Basically, focaccia bread with toppings. Trenton Tomato Pie is similar to the Chicago style pizza in that it the tomatoes go on top. While many other pizza styles celebrate cheese, this pizza really celebrates the tomatoes over the cheese. NOT the same as the Trenton Tomato Pie. Serious Eats describes the Philly Style Tomato pie as “saucy focaccia”. It looks like a risen and baked crust with a rich and deep sauce and maybe a bit more cheese. Ooooh. 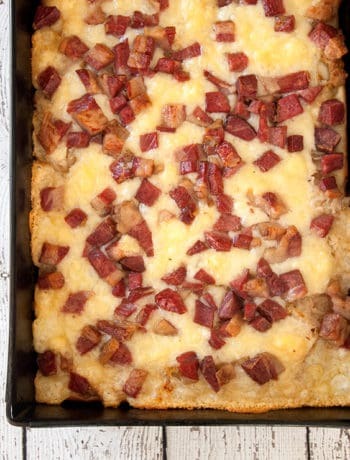 The Detroit pizza style is on of our recipe series[LINK] and totally is my kind of pizza. It is a deep dish pizza that has a very crispy bottom and edges. Similar to a Chicago style, oil is added liberally to help give a crunchy outer shell. Like many of the deeper dish pizzas, it has cheese placed right on top of the dough and then constructed from there. Instead of a circle, this pie is baked in a square. Also, I find it interesting that this style of pizza was originally created around the same time as the Chicago Deep Dish. It is almost as if deep, cheesy, pizzas were just begging for creation in the midwest. All I know, is that they are great pizzas! The quad cities is an area in Illinois and Iowa that covers four cities. Hence, quad cities. 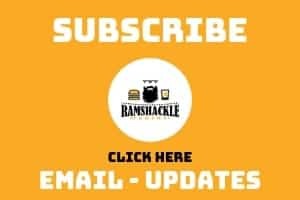 What makes the Quad Cities style of pizza unique? The dough is spiked with brewers malt and spices. This can give the pie a spicier taste profile. Traditionally, this pie style is cut into strips rather than squares or slices like other pizza styles. Named after a neighborhood in Ohio that had a large Italian immigrant population. Brier Hill pizza style is most different because they use Romano cheese instead of the traditional mozzarella. Additionally, hot peppers are the mainstay topping of this pizza style. The defining characteristics of the St. Louis Pizza Style is that the crust is cracker thin and it uses a processed cheese that I have never heard of before, Provel. It is a cheese made up of cheddar, Swiss and provolone. This pizza style is a direct descendant of the Neapolitan, but it seems like it just kicks it up a notch. Like the Brier Hill style, this was born of an area filled with Italian immigrants. The characteristics that separate New Haven Style from Neapolitan is that the pie is cooked longer and charred. Traditionally, it was cooked with coal as the heat source at very high temperatures. Finally, cheese is not a given on this pizza, unlike other pizza styles. You must order it as a separate topping. 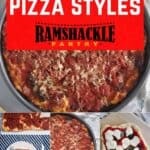 I never even knew that there were this many styles!I hope this huge list of pizza resources gets you going on making pizza styles you want! There just is more than I originally imagined! You need to try also carbones pizzas pizza sandwich amazing and in mn, wi . What a fun list! There are certainly a few I’ve never heard of! Without having tried them all, I still for for Chicago! Wow, that is a big list. I’ve had all of them, until you get to Montanara, and then I’ve had none of them! I’ve got a lot of pizzas to eat, it seems! 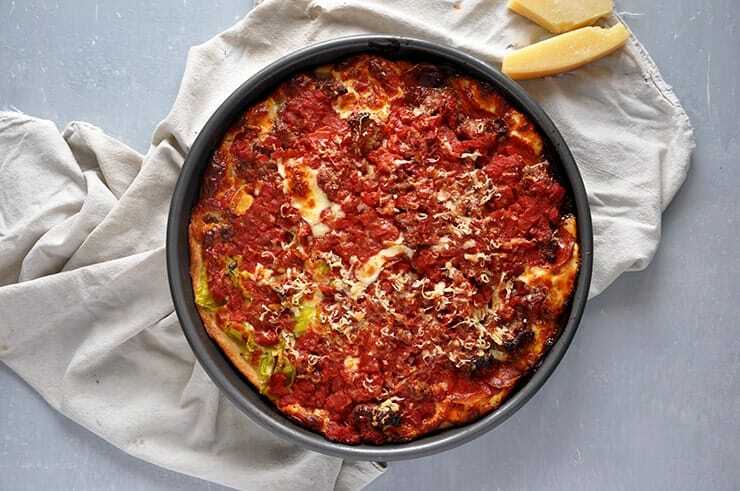 I have tried quite a few of those styles, and like most of them (Philly-style tomato pie is the exception — cheese is a key part of pizza for me). If I had to choose one as a favorite, it would be a toss up between Neo-Neapolitan and Detroit style. For Neo-Neapolitan, I like Pizzeria Delfina in San Francisco (and nearby). 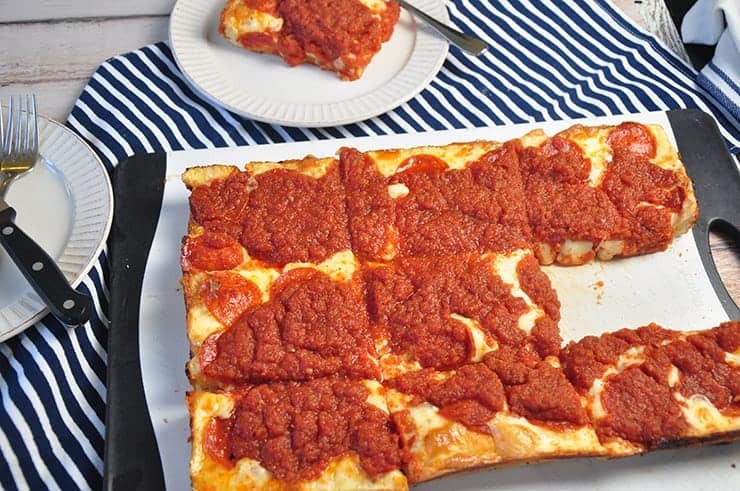 For Detroit style, I’m a big fan of Jets Pizza, which is available in Michigan and 24 other states (the nearest outlet to Fargo is in Minnesota). It’s rectangular and baked in a heavy pan to give a crisp crust. They have an interesting idea called the “8-cornered pizza”, which I think involves a pan with additional metal inserts that crisp some of the inner edges. An honorable mention for thin crust goes to the pizza at Cheese Board (Berkeley), which has a sourdough crust and some California-style toppings. They offer just one flavor combination a day. Beautifully crisp crust, nice sourdough tang. I have tried the Detroit-style recipe you linked to and it’s great — definitely worth a try. I can’t find brick cheese where I live, so I use the recommended substitution. With your proximity to Wisconsin, perhaps brick cheese is in your stores? I LOVE provel cheese! It’s so good when it melts, and really hard to find anywhere outside of St. Louis. I really miss it from when I used to live there!